Growing up in the South cornbread is a staple of southern cooking! Every family has a great recipe but recently I tasted a recipe that had me speechless. Now, many of us have enjoyed cornbread muffins with as a compliment to our stews, casseroles, or even by themselves with plenty of butter. To some, a meal just isn't complete without them. Baked to golden perfection they're so sweet and satisfying it's the perfect go-to for any dinner. This Recipe is Surprisingly Delicious! 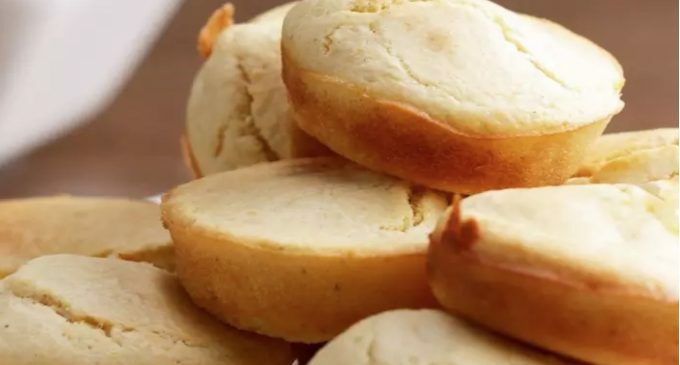 I never thought I could love cornbread muffins more than I already do but then I tried them stuffed with this ingredient that too them to an epic level! If you couldn't get enough of them before, they will be even more irresistible now! All you need to do to make these is combine cornmeal with mozzarella cheese, an amazing blend of simple ingredients and this ingredient added at the last minute to make corn muffins that over bursting with wonderful flavor. They will be the best muffins you have ever tasted. You won't be able to stop with just one!